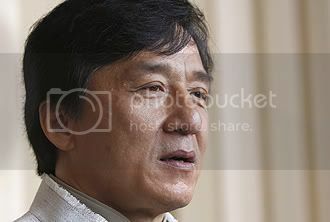 SINGAPOREANS have no self respect, action movie star Jackie Chan told an audience of businessmen. He said this in the same speech at the annual Boao Forum in Hainan last Saturday, at which he said Chinese people need to be ‘controlled’. In that address, he reportedly said of Singapore: ‘A lot of people are not like those in USA and Japan who voluntarily have self-respect. When you don’t have self-respect, the government will have to control you. ‘In Singapore, you have to abide by Singapore’s regulations. In China,you can litter, In Singapore, try littering and you will be jailed immediately.’ Shin Min Daily news had earlier this week published a transcript of his ‘freedom speech’ which touched on the issued of liberty in China.